Asa Griggs Candler, (30 Aralık 1851 - ö. 12 Mart 1929) Coca-Cola'yı geliştiren ABD'li meşrubat üreticisi. Villa Rica, Georgia'da çiftçi bir ailenin çocuğu olarak doğan Candler, tıp öğrenimi gördükten sonra eczacılık yapmaya başladı. Daha sonra ilaç ticaretine yöneldi. 1887 yılında iş arkadaşı olan John S. Pemberton'dan pek de bilinmeyen Coca-Cola'nın formülünü $2.300'a satın aldı. İçeceği daha sonra geliştiren Candler, Coca-Cala'yı ABD'nin en zengin şirketlerinde biri durumuna getirdi. Candler yönetimindeki bu firma güneyin en başarılı firması oldu. Ancak 1919 yılında şirketini 25 milyon dolara sattı. Pek çok hayır işinde de yer alan Candler "Emory College" ve "Emory Üniversitesi" için maddi destekte bulundu. 1929 yılında Atlanta da hayatını kaybetti. Asa Griggs Candler (December 30, 1851 – March 12, 1929) was an American business tycoon who made his fortune selling Coca-Cola. He also served as the 44th Mayor of Atlanta, Georgia from 1916 to 1919. Candler Field, the site of the present-day Hartsfield-Jackson Atlanta International Airport, was named after him, as is Candler Park in Atlanta. Candler was born in Villa Rica, Georgia. He started his business career as a drugstore owner and manufacturer of patent medicines. In 1887 he bought the formula for Coca-Cola from its inventor John Pemberton and several other share-holders for $2,300. The success of Coca-Cola was largely due to Candler's aggressive marketing of the product. Candler made millions of dollars from his investment, allowing him to establish the Central Bank and Trust Corp., invest in real estate, and became a major philanthropist for the Methodist Church. He gave $1 million plus a land gift to Emory University, at that time a Methodist college, for the school to move from Oxford, Georgia, to Atlanta. This gift was influenced by Asa's younger brother, Methodist Bishop Warren Akin Candler, who became president of Emory. Candler also gave millions to what would later become Emory Hospital. The school's original library which now houses classrooms and a reading room is named for him, as well as endowed chairs in the school's chemistry department. He also donated the land for Candler Park. 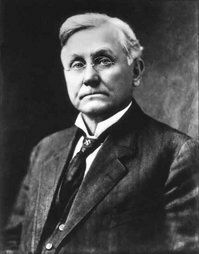 Candler was elected mayor of Atlanta in 1916 (taking office in 1917) and ended his day-to-day management of the Coca-Cola Company. As mayor he balanced the city budget and coordinated rebuilding efforts after the Great Atlanta fire of 1917 destroyed 1,500 homes. In 1919 he gave most of the stock in The Coca-Cola Company to his children, who later sold it to a group of investors led by Ernest Woodruff. In 1922 he donated over 50 acres (200,000 m2) of his Druid Hills holdings to the City of Atlanta for what became Candler Park. Candler suffered a stroke in 1926 and died on March 12, 1929. He is buried at Westview Cemetery in southwest Atlanta. The Candler Field Museum in Williamson, GA has been established to commemorate the original Candler Field airport. Asa Candler was also a philanthropist, endowing numerous schools and universities as well as the Candler Hospital in Savannah, GA. The Candler home Callan Castle in Inman Park, built 1902-4, still stands as a private home. The mansion at 1428 Ponce de Leon Avenue, Druid Hills, built 1916 eventually became St. John Chrysostom Melkite Greek Catholic Church. •	Asa's eldest son, Charles Howard Candler (1878–1957), was chairman of the board of trustees of Emory University. His family estate was Callanwolde on Briarcliff Road in Druid Hills, now a fine arts center. •	The second son, Asa G. Candler, Jr. (1880–1953), eccentric, alcoholic and depressed, became a real-estate developer, opening the Briarcliff Hotel. His Briarcliff mansion and estate - also on Briarcliff Road in Druid Hills - was turned into an alcohol rehab center, then a psychiatric hospital, and is now Emory's Briarcliff campus. Asa Jr.'s menagerie of animals enabled a major expansion of Zoo Atlanta in the 1930s. •	Third son, Walter T. Candler (1885–1967), businessman, philanthropist, and horse sportsman. His Lullwater Estate is now the residence of the Emory President, a park, and land used for the Veterans' Administration complex in Druid Hills. •	Only daughter Lucy (1882-1962) became Lucy Beall Candler Owens Heinz Leide. Her husband, banker and Kiwanis president Henry Heinz was shot by a burglar in their mansion, Rainbow Terrace, in 1943, though rumours persisted that a relative murdered him. She later married Atlanta Symphony Orchestra conductor Enrico Leide.